Growing up, Bertin Nahum was not too passionate about education as he excelled more in sports, especially boxing. But after his math teacher made him recognize his ease with science and encouraged him to pursue engineering studies, Nahum decided to become an inventor and would later be able to convince surgeons to have his robot in their operating room. 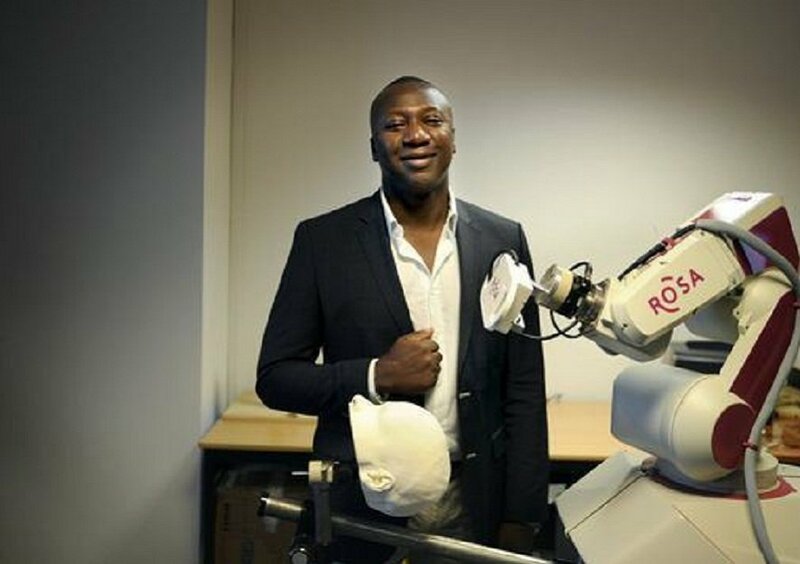 Since 2007, Rosa, the robot by the French man of Beninese origin has become operational in more than fifteen hospitals in the world. “I may say it is a kind of GPS. Thanks to this machine, the surgeon is going to be able to exactly reach a zone of the brain and instead of making freehand operation, it is the arm of the robot that is going to act,” explained Nahum. “It can turn out very useful to put an electrode or realize the puncture of a tumour,” he added. 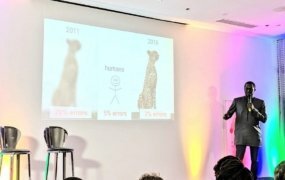 Nahum’s journey in robotics started in 2002 with the creation of a company called Medtech that specialized in the manufacturing of robots assisting doctors in surgical operations on knees. The road to his success has not been easy though. 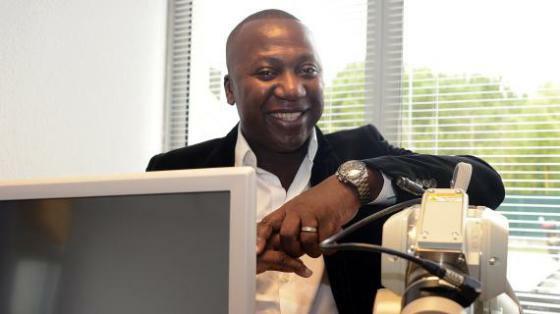 Born in Dakar, Senegal in November 1969 in a family of eight children, his parents, who were originally from Benin, decided to migrate to France when he was a year old. They lived in the suburbs of the city of Lyon but things went sour when Nahum lost both parents and was forced to live in a youth shelter until he was 18. After obtaining his high school diploma in the science field, Nahum enrolled at the National Institute of Applied Sciences (INSA) of Lyon upon the advice of his teacher. There, while going through studies in electronics, Nahum realized his dream in robotics. A Master’s degree in robotics at the University of Coventry in the United Kingdom made him discover medical robotics after he was given the opportunity to take part in a project of software design in collaboration with the neurocardiology department of the city’s hospital. He got closer to surgeons, accompanying them during their interventions, to get an in-depth knowledge of happenings in the operating room. “These years allowed me to acquire more knowledge of the surgical robotics sector and to identify areas where I could contribute,” he said. He applied his knowledge in the development of solutions for orthopaedic surgery, cardiac surgery, urology, and brain surgery (neurosurgery). Nahum set up Medtech in 2002 with a prize money he got from an innovative technology competition and the proceeds from the sale of his car. His first project was a robot for knee surgery called Brigit but had to sell the patent to an American orthopaedic surgery company Zimmer due to financial constraints in producing his invention. With additional funding, he was later able to produce the complex robot he had dreamed of for years, Rosa. This robot that costs 300,000 euros ($348,975) comes with an articulated arm that allows neurosurgeons to position their instruments in a more precise manner. “And indeed, Rosa is almost human, when you look at everything she can do. Her biggest advantage is that it she allows surgical instruments to be inserted through small incisions in the skin, thus minimizing the amount of skin and tissue to be removed, reducing exposure and the size of the exploration area. This is called minimally invasive surgery, as opposed to open surgery where the surgeon opens the area he wants to operate by making a large incision to have a wide field of vision and access direct to guide and manipulate his instruments,” according to an article on umurage.org. Rosa, approved by the U.S. regulating body, the FDA, has since become vital for operations on patients with brain tumors, Parkinson’s disease, and epilepsy. In September 2012, Nahum was classified fourth revolutionary entrepreneur in the world behind the Americans Steve Jobs, Mark Zuckerberg and James Cameron by the scientific magazine, Discovery Series. His company, Medtech, would go on to win several awards before he sold it in 2016 to Zimmer for a reported $132 million. Bertin has since launched a new company called Quantum Surgical that will also specialize in surgical robots. 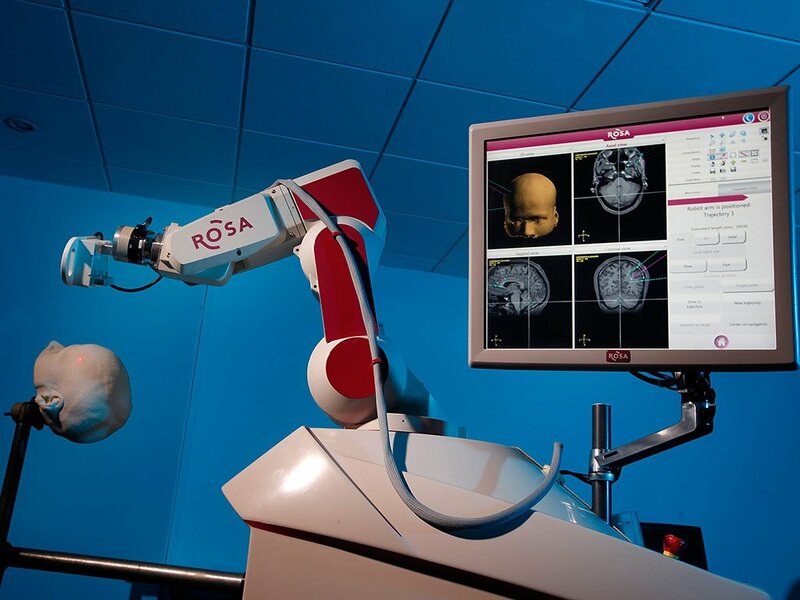 Rosa is still saving lives as reports say approximately 4,000 procedures have been performed with the robot in more than 70 hospitals and clinics around the world.